Posted on January 23, 2019 at 5:13 am. According to the Centers for Disease Control and Prevention, carbon monoxide (CO) poisoning is responsible for over 50,000 emergency room visits and the cause of over 400 deaths in the U.S. yearly. 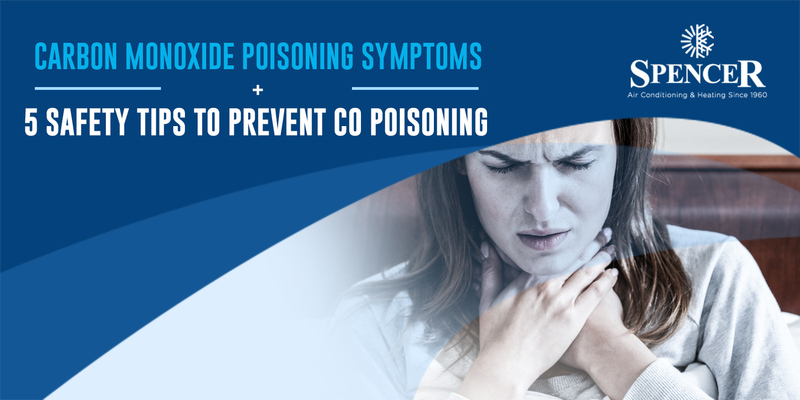 Now that winter is on its height, the risk of CO poisoning may become prevalent as your home appliances continuously operate. Read on to understand the symptoms of CO poisoning and the ways to prevent them. If carbon monoxide is suspected based on the mentioned symptoms, immediately evacuate your home and contact the safety authority. Be sure to call a qualified technician to regularly service your water heater, heating system, and other wood, coil, gas, or oil-burning appliances at home. If you suspect carbon monoxide poisoning and constantly experience its symptoms, call the safety authority to inspect your place. Install a Carbon Monoxide Detector in every level of your home. Also, check and replace their batteries regularly to ensure proper operation. When your carbon monoxide detector continuously alarms, gather all persons inside your home and evacuate immediately. Call 911 or the local safety authority when you get outside. Refrain from running your vehicle inside your garage, especially if your garage is attached to your home because it can cause the CO level to rise. Do not heat your home using a gas oven. Also, do not burn anything in your fireplace or stove if it is not vented. Do not use a charcoal grill, camp stove, generator, or other charcoal or gasoline-burning equipment in your garage and basement. They should be positioned at least twenty feet away from your home. It is not enough that your home is warm and comfortable this season. You should also make it safe against life-threatening risks like CO poisoning. Our team at Spencer Air Conditioning and Heating helps install carbon monoxide detectors to give you peace of mind throughout the winter months. Call us if you need one in your home!